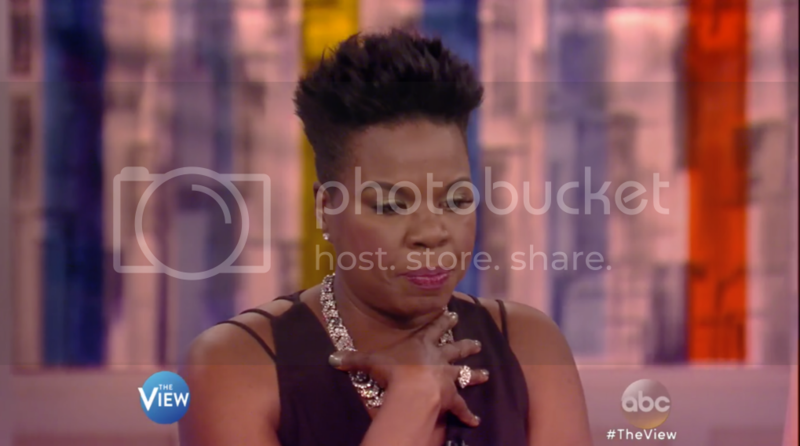 At 48, comedian Leslie Jones is finally breaking into the mainstream with her first big in role in Ghostbusters. Like many Black girls who aspire to be in entertainment, Jones says she had few role models to look to as she was considering a career. But seeing Whoopi Goldberg on television changed her life. I watched that. My dad recorded it for me. I literally watched it everyday after school. I just want to thank you from the bottom of my heart because now I know what I'm doing when I put on that Ghostbusters suit and little girls see me on TV now. They're gonna go, 'I can do it,' and you gave that to me, and I love you. I love you from my heart and my soul. I love you for what you've done for Black women. I love you for what you'd done for Black comedians, and I love you. The exchange was loving and heartfelt one between two women who've come under fire for the substance of their comedy. Despite the controversy and neither having a look that fits narrowly into a mainstream ideal, they've both flourished. Leslie is cast member on Saturday Night Live, and Whoopi has achieved the coveted EGOT (Emmy, Grammy, Oscar, Tony) for her work on on stage and screen.